With a bitter south easterly wind Ty Croes was our chosen venue. Hoping to find some shelter, though with reports of good catches of thornies we expected the better ledges to be taken. Arrived at the car park at 6pm and with 3 cars already there it didn't look good. However decided to give it a go and were surprised to find the best mark unoccupied. The tide was ebbing with a decent pull to the left. Dave Roberts was soon off the mark with a small thornie followed by Jordan with a better fish of 6-3-0. 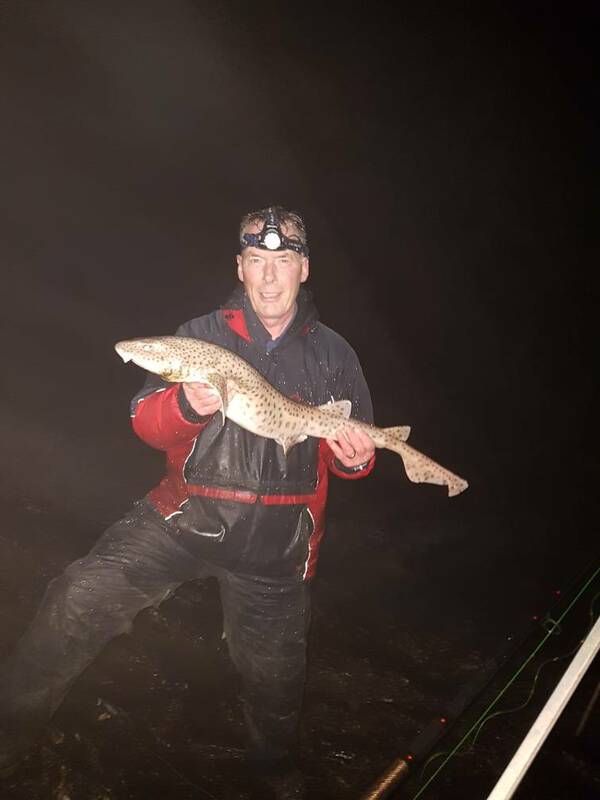 We continued catching regularly with Dave landing the best of the night at 6-12-0. After 5 small thornies i came up with something different a TURBOT of 3-10-0 followed by a Spotted Ray 2-6-0. We ended up with 12 thornies and surprisingly few dogfish. All fish caught on mackeral, squid and bluey. Great session. Good feed off that Turbot.